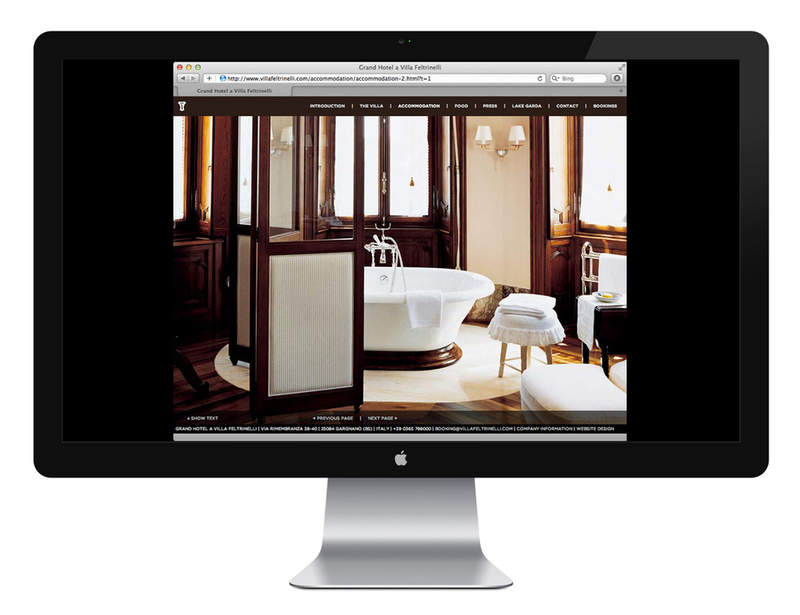 GALLÉ, DESIGN FOR LUXURY BRANDS: Brand identity, communications and website design for Villa Feltrinelli, the enchanting grand hotel on Lake Garda, Italy. Villa Feltrinelli was a very interesting project. The villa's history is fascinating, as is the family that built it. The Feltrinelli family started off in the lumber trade in the late 18th, early 19th century, and each generation sought out to created added value with what it had at hand. So, the first generation started with lumber and wood; the second generation turned this wood into paper; the third generation turned paper into dictionaries; the fourth generation leveraged its printing facilities to become a publisher (they were the first to publish Doctor Zhivago by Boris Pasternak). The villa itself was expropriated by Benito Mussolini, who lived there during the last year of World War II. After the war, it was returned to the family. When Giangiacomo Feltrinelli died, the villa was left unkept for a couple of decades until it was purchased by Bob Burns, who turned it into the boutique hotel it is today.